1427 Coral Dr, Sun Prairie, WI.| MLS# 1846962 | John Reuter Realtor/Broker/Owner of The Reuter Team. Wisconsin Homes for Heroes Realtor. Proud to be the Top Homes for Heroes Realtors in Wisconsin and One the Top Homes for Heroes Realtors in the United States. 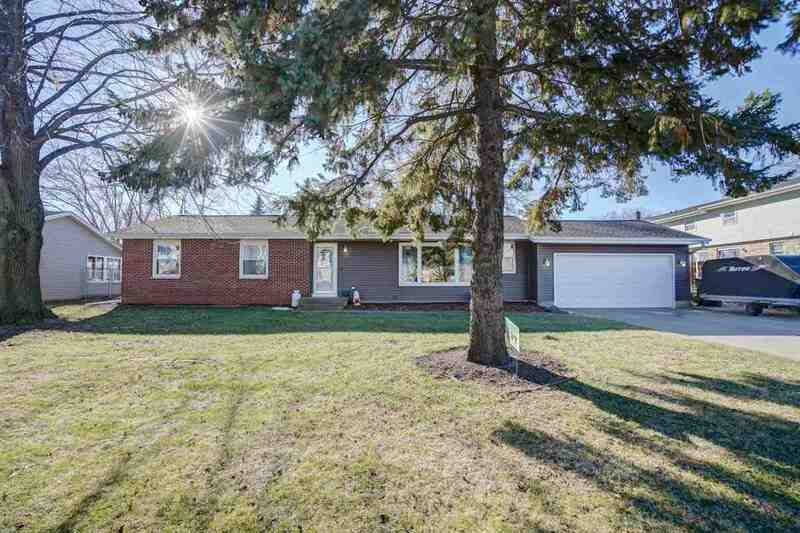 3 bedroom ranch home in the middle of Sun Prairie, 1 block from the elementary school. It has a large open living room and kitchen, first floor laundry room and attached 2 car garage. The property has a fenced in back yard with a beautiful 12X14 shed with electric & remote garage. This home has a new Air Conditioner, furnace and water heater. The roof, Soffit/facial, siding, windows and doors (interior and exterior - including garage door) have also been replaced. Recently updated bathrooms and kitchen makes this home move in ready. The LL has a finished room with endless possibilities for more finished space. Directions: W Main Street, Left On Ruby, Right Buena Vista, Left On Beech, Left On Coral Dr.